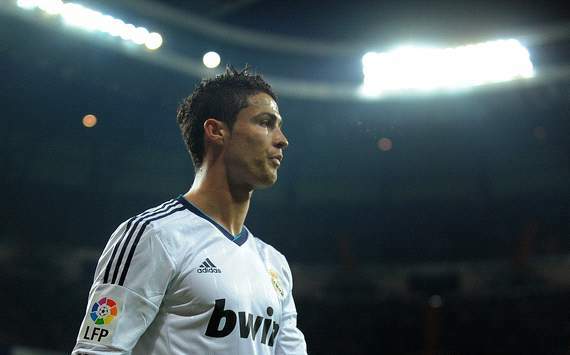 Cristiano Ronaldo enjoyed a fabulous year in 2012, for both his club side Real Madrid and his national team, Portugal. The Madeira-born attacker is perhaps the most pertinent example in modern sport of talent fulfillment, and turning outstanding promise into end product. Since he arrived on British shores with a Mediterranean tan and tousled bleached blonde locks back in 2003, Ronaldo has grown, physically and technically. Back then he was a slim teenager with a tendency to showboat, now he is a muscular powerhouse with an impressive arsenal at his disposal. In his final two seasons at Manchester United before his record-breaking €93.9 million move to Real Madrid in 2009 he was virtually unplayable. The 27-year-old was instrumental for los Blancos as they wrestled the Liga title from Barcelona’s grasp at the end of the 2011-12 season, with his firmly-struck goal that won the two side’s meeting at Camp Nou in April perhaps the deciding moment in the title race. Ronaldo led his side to their first league championship in four years, while also managing to reach an array of personal milestones that emphasised the impact he was having as a talented individual within an exceptional team. His 46 league goals in 38 appearances were filed against every other team in the division – a first for a player in a single season, while he also achieved the accolade of being the first player to score more than 40 goals in successive league campaigns. Such performances were recognised in Spain as he was awarded the Trofeo Alfredo Di Stefano, given to the best player in La Liga over the course of the season. The former Sporting Lisbon star’s prowess was not restricted to Spain however, as he also played a key role in Real Madrid’s Champions League run to the semi-finals. He scored in every knockout round of the competition including their last-four defeat to Bayern Munich, and finished with a total of 10 goals in 10 matches. Ronaldo then carried his fine form at club level onto the international stage, as he shrugged off a slow start in Portugal’s first two group games of the European Championship against Germany and Denmark, to then burst into life and score twice against Netherlands in their final group match. In the quarter-finals he again scored a match-deciding goal as the Selecao edged past the challenge of Czech Republic, while he also impressed in Paulo Bento’s side’s semi-final defeat on penalties to Spain. The football world has seen Ronaldo dominate games at club level in recent years but his displays in the red-and-green of Portugal in the summer were a new experience, with the 27-year-old having fallen short on occasion when representing his national side in the past. Critics used to moan that ‘Ronaldo doesn’t do it for his national side’. In Poland and Ukraine he showed how that is not the case anymore, and was deservedly included in Uefa’s Team of the Tournament. In August, Ronaldo then finished top in the Goal.com 50, an achievement he described as “a matter of pride”. At the turn of the year Real Madrid sat 16 points off first-placed Barcelona in La Liga, yet their Portuguese forward was still enjoying a profitable campaign despite his side’s failings with a healthy return of 23 goals in 26 appearances in all competitions. In October he made history by becoming the first player ever to score in six consecutive Clasicos as he struck twice in a 2-2 draw with Barcelona. Barcelona had won the league three times in a row before Real Madrid triumphed in 2012. Barcelona’s Lionel Messi has won the Ballon d’Or three times in a row now, perhaps now Ronaldo will put an end to this Barcelona dominance, just as los Merengues did in La Liga.